Home > Image Theory	> What’s to like over on Colin’s blog right now? CB must show that all the demands have been met. CB can carry on with Science while Paulo is waiting for his change of paradigm. Agreed Hugh. How can Paolo Di Lazzaro claim that it has to be radiation of a highly specific kind, modelled by his specialist laser? Extremely short pulses of coherent high energy radiation are needed he says to explain the extreme superficiality of the TS image layer (“300 – 600nm”). Yet in the same breath he says the image is confined to the PCW of linen fibres, not affecting deeper layers. I’m sure i don’t need to remind him that the PCW has a rather different chemical composition from the core cellulose in the SCW, with a higher proportion of reactive hemicelluloses, and with relatively non-crystalline cellulose (also more reactive). They allow the young cell wall to expand in its active growth phase, prior to acquiring the SCW. So who’s to say the image superficiality is not simply due to exposed botanical placement and chemical factors, needing no fancy radiation to make it turn yellow, all that’s needed being more conventional chemical or thermal insults? Paolo is the only scientist quote unquote I know of who has ended a press release by imagining that his (let’s face it) underwhelming results – a faint yellow discoloration of linen with NO attempt to project an image from a person or object – might elicit “a philosophical and theological debate”. Hugh: errr.. So Paolo di Lazzaro is being classified as an amateur? How nice,coming as it is from the editor of the BSTS newsletter. I understand that the newsletter has no party line, and that is correct, however it does seem that the Italian scientist’s research is being underestimated. Is’nt it so? It also appears that the responses in the interview have not been read with care, for the second time. Di Lazzaro used the words “current paradigm” with reference to another scientist. Obviously I respect his opinion because he responded as a scientist, not as a biblical scholar or systematic theologian. The part about the New Testament and systematic theology was my opinion in the introduction and I stand by what was stated. I personally believe that “current paradigm” means something, but only to a certain extent. Can science answer all our questions? Only someone indulging in scientism would say that. Science can indeed inform philosophy when it comes to some questions, as Dennett seems to have demonstrated, but he is religion-friendly and knows a lot about Catholicism. There are questions that science simply cannot answer. It is something that even Stephen Hawking seems to admit. How far can “current paradigm” be stretched? Colin: errr… Di Lazzaro never said that it was radiation. If you read my question it says “radiation-like…” and that was prompted because laser was used. From what I can understand, “extreme short pulses” are needed to explain the extreme superficiality of the image on the Shroud. If you can perform an experiment demonstrating such extreme superficiality, not forgetting to take all that is seen on the relic’s image into account, I would love to see it. Di Lazzaro is looking for people who can perform experiments, he never said that his research is the last word on the topic. What is coming next, within the next few days, will require the attention of both of you, in the field of science. It has nothing to do with scorch, painting, printing, photography. The research is sort of just beginning, but it has made a good start. How scientific is it Louis to fire laser beams at linen to get “coloration” of the fibres when you don’t know what chemical changes you are producing, or which class of carbohydrates are being modified, or even whether they are the same changes as those on the TS? And when champagne corks pop because the coloration has been confined to the PCW, might one not reasonably ask whether coloration of the PCW could have been achieved by more mundane means, given the highly superficial location of PCW carbohydrates of linen fibres – essentially a redundant surface film – and their greater susceptibility to chemical or thermal treatments compared to the highly crystalline core cellulose of the SCW? How scientific was it to go to the media with one’s gee whizz lasers, claiming one has a model that should get us all thinking about philosophy and theology, and then 3 years down the line be saying “Well, it’s not necessarily radiation that produced the TS, but something, you know, sort of, er, radiation-like”. If the energy input is not defined, then it’s not science, but pie-in-sky speculation. I look forward to hearing you new thinking Louis. 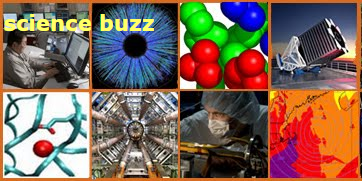 Any hints as to the energy source – chemical, thermal or radiation? Please don’t tell us it’s “radiation-like”. Please assure us your ideas are testable, at least in principle, and better still in practice, on a realistic time scale. Meanwhile, I shall continue trying to think like a medieval artisan, looking for a way of creating an imprint on linen that can be claimed to be that left on Joseph of Arimathea’s linen. No lasers are permitted. Image superficiality is just one of numerous boxes that have to be ticked. Mere colorations on linen are not an option – it has to be negative, 3D-enhancible images merely for starters. I respect your views because of the scientific credentials, although in the nutrition industry, and also because of your ability to dissect scientific issues. I think the point was to demonstrate the extreme superficiality detected on the Shroud image and to reject the possibility of scorch. It is just the first step, the rest can come later. Have you consulted the references given in the interview? Perhaps they might help you to get a clearer picture, at least understand the rationale behind the responses. That was advised in the last line of the introduction and I am sure that, as a scientist, what you will read will not be Greek to you. Hints about what I am thinking? I cannot say anything now as there are rules to follow, which also include ethics, part of the trade. But, don’t worry, it is not something really new, only new research that has paved the way to what may eventually prove to be a means to authenticate the Shroud. It is evident that your approach is that of a medieval artisan, in fact it has to be like that if you want to prove that the relic is a forgery, which I at least think it isn’t. May I go further? You yourself have said that your worldview is spurred by what you apparently have judged to be an universe that is indifferent to us. You are correct, but only to a certain extent. Remember: Jesus was indifferent to the universe. Why? You will find something about this in the interview’s introduction. in my opinion the aim of this presence of the Face (= the three-fold imprint of the Face, a true and sure textile fact) is due to one of the manifestations of the Sign (of the Holy Trinity). But this simple reasoning is not evidence of strong type. but now Freeman doubts that. optical brighteners, etc. … ie: linens prepared as in antiquity. Is in this way that it must work (see also: Kate Edgerton and Rogers…). I hope that no one goes to do bizarre experiments with inappropriate textile material. and/or thermal treatments) PCW ? the surfaces of treated linens. the inside of the linen fibers. were closing the library, and then they put me in a hurry …). Anyway I want to write here a phrase that is different than what appeared. > That allow us to discover how it has changed the inside of linen fibrils. is almost a kind of nonsense! > … or something that allow us to discover how it has changed the inside of linen fibrils. Forgive my saying, Piero, but you are making the same error as Paolo Di Lazzaro and his ENEA colleagues in assuming that because the TS image COLOUR is superficial, confined (maybe) to the PCW or a Rogers’ type coating, then ipso facto there are no changes to less superficial parts of the fibre. Are you not forgetting something? Image fibres are weaker than non-image fibres. That was shown by the ease with which they could break off and stick to Rogers’ Mylar adhesive tape. It would take more than changes in the PCW – an ultra- thin skin on a much thicker mainly SCW fibre – to render the entire fibre brittle and prone to fracture. (Let’s not forget that the Mylar initially stripped off entire fibres – not image “ghosts” – the latter not being seen/inferred until image fibres were subsequently pulled away from the tape). Try by all means to get the Vatican to consider your AFM scanning. But let’s dispense with the notion that the imaging process affected only the most superficial parts of the fibre. The core of a linen fibre is not entirely crystalline cellulose. There are significant amounts of hemicelluloses and pectins there too – the so-called non-cellulosic polysaccharides (NCPs).Their physical and/or chemical disruption could compromise the strength and integrity of the entire fibre. Being in a minority relative to cellulose microfibrils means that changes to those NCPs might not be so readily visible as coloration, which is where we came in. However it is not sure that the technique of preparation for furneral linens was just the same and in Egypt the weather is a bit different compared to Jerusalem. What we require is a Training School on AFM techniques, with concrete works on ancient textiles. the thin discussions about PCW and SCW (and then … why not also on the MFA, the MicroFibrillar Angle?) can last for a very long time without concrete results. So… It is necessary to verify what is found by the AFM controls on the textile material in question. Do you agree on that “severe remark”? Is that a severe remark or a simple (near trivial!) and obvious idea? “new dating” and I have neglected to talk about the Formation of the Image on the Shroud. (IMO) you can use the AFM technique! What is the most probable process to print/paint an image of a crucified man on 14 feet * 3 feet linen sheet? Does any such technology available in 1st centuary or 14 Centuary to create an image like that on linnen? You wrote, “CB can carry on with science” Why didn’t you write that Paolo Di Lazzaro could also carry on with his science, although waiting for a change in scientific paradigm? I am not writing “extraordinary nonsense”. Read a bit of Freud to understand what I am saying, I am not one to indulge in spoon feeding. Must I point out that, for the third time, you have not read the interview with sufficient attention? He refers to another scientist when talking about the “current scientific paradigm” and it is evident that his hypothesis about image formation requires a surge of energy currently beyond the scope of physics. Yes, as a scientist he knows the limitations. Of course VUV radiation is pure radiation and that is why I, not him, said “radiation-like”. Why? Because I do not believe that radiation had anything to do with the image. Now, it seems that you have not understood why I used that term. If you had also read the introduction carefully, you would notice that reference was made to the Gospel of Mark and the narrative was hooked on to the Shroud’s image formation process. I was talking about a possibility. If the Shroud did indeed wrap the body of Jesus, no amount of scientific study can reach 100% certainty, we humans will be waiting for “current scientfic paradigms” for generations to come. As a note of caution, that is my personal opinion. You will need to understand Jaspers to go further. When it comes to radiation pulses, the response was about what was needed indeed. Ray Rogers was unsuccessful in his experiments and di Lazzaro made some improvements with his method. You must have read that he encountered difficulties initially, so some “calibrations” were needed. It is obvious that he was talking about the know how. A miracle is out of the realm of science. If not, it would not be a miracle. May I say that it is a power from beyond acting in our world? If one starts out thinking like a medieval artisan in order to solve the mystery of the Shroud, with the obvious implication that the Shroud has to be a medieval forgery, then one is guilty of a Joe Nickell favorite standard: starting with a conclusion and working backwards. If a scientist can find no other way to form a Shroud-like image other than with lasers, he may not be proving that the Shroud was made by lasers, but it could indicate that something out of the ordinary might have happened with the Shroud, something perhaps even beyond the understanding of science, possibly short term, possibly long-term. It could lead down other roads. Assuming it’s medieval is a one-way road. If science is the search for truth, it’s clear which approach is more scientific. Why is working backwards problematic? Isn’t reverse engineering a scientific methodology? The belief that the Shroud may be a medieval artifact is not illogical given the evidence, so neither is it illogical to reverse engineer it using technology of the era. Neither is it illogical to explore the more fantastic theories using light – because until someone comes up with a definitive answer all ideas are fair game as starting points of research and experimentation. And exploring a one-way road isn’t a bad plan, if it turns out to be the right road. I agree that reverse engineering is a scientific methodology. But Colin does not seem to want to venture outside of the Shroud-as-medieval road. If his one-way road is wrong, he is at a dead end. Yes, but there’s an important difference. I would know I was at a dead end, but could still take some satisfaction from having excluded a raft of mundane possibilities (part and parcel of being a scientist). Contrast that with Paolo who we’re told resorted to uv excimer lasers simply to point out fantastic possibilities, but who does not wish to be pinned down to “radiation”, least of all the highly specific type needed to produce his superficial coloration of linen (but no image). It’s now “radiation-like” we’re told. There’s the crucial difference between Paolo and myself. He’s already at a dead end, but does not appear to realize it. Nor does Louis, it seems, and neither do you either Joe. We are not talking about dead ends, research is under way, as Pope John Paul II requested. The relic is not an article of faith, it is therefore a secondary issue as far as the Church is concerned. “If a scientist can find no other way to form a Shroud-like image other than with lasers, he may not be proving that the Shroud was made by lasers, but it could indicate that something out of the ordinary might have happened with the Shroud, something perhaps even beyond the understanding of science, possibly short term, possibly long-term”. There are a lot of things in the universe that “a scientist” cannot replicate. Sometimes, it depends of the nature of things. It is easier to find an inexplicable thing in the ancient History that in modern days in Massachusetts. This depends on our knowledge of the circumstances that, obviously, are usually better of the U.S.A. than of a medieval country. Other times the problem arises because the object is difficult to study. For example if it is a missing object, if it is located in an inaccessible emplacement or if its owner doesn’t allow a normal examination of it. These are the circumstances that surround the studies of the Turin Shroud. It is not certainly extraordinary that the object had remained inexplicable (on some features, not others) in these circumstances. When an interdisciplinary and independent team had inspected the cloth properly we could say if it is inexplicable or not. At the moment we can only say two things: the fabric is medieval and the image is not the imprint of a human body. At 99% if you want. The other 1% is for miracles. I had not been aware that David Mo had qualifications in forensic pathology enabling him to rebut without stating his reasons, a number of those who have such qualifications, are eminently experienced in the field, have studied the evidence they sought, but who have expressed an entirely different opinion, all with detailed explanations and reasons for doing so. Persistent repetition of an unsupported opinion, no matter how often, cannot alter its truth value, even when it is zero! The current force of the Turin Shroud is that it is now very old and in a very bad condition. Historical sources attest that the image was more than vivid and striking when the shroud first appeared in medieval times and what was obvious in the beginning has now become ambiguous and unclear. This weakness has paradoxically turned into a force. That’s enough to make some people unleash their fantasies. Some here pretend that the forensic experts who examined it unanimously say that the shroud is authentic. That’s not true. Some pathologists like Lee or Baden disagree with this. Need I say that if I commission forensic experts to examine the shroud, most will say that it’s a fake ? You have to do better than that — Baden and Lee did not examine the Shroud, only looked at photographs of the Shroud — not the same thing at all. We don’t even know which version/quality of photos of the Shroud they examined. You can say it — “if a commission of forensic experts examine the shroud, most will say that it’s a fake”, but that’s your opinion and an unsupported one at that. The longer you post to this blog, the weaker your comments become. Pity. We can add Walter Mc Crone ( 1982 – Certificate of Merit from the Forensic Science Foundation) to the list of experts who examined the shroud and said “FAKE” if you wish. You will find below a link to a video of Dr Fred Zugibe , prominent and vocal shroudie, looking at photographs of the shroud and explaining to us that it’s real. Unintentionally hilarious. The more I come on this website and the more I become convinced that it’s a medieval cloth. Your borderline aggressiveness towards those who think that the shroud is a fake makes you look insecure and I wonder if deep inside yourself you really do believe in the shroud’s authenticity . Once more skeptics show themselves ignorant about serious scientific studies on the Shroud and uncover their fanatic antiauthenticity agenda-driven comments. The Shroud of Turin did wrap a real Human body and that body was the crucified Jesus. and the Image imprinted on it is the result of a miracle granted by God. Colin wrote “There’s the crucial difference between Paolo and myself. He’s already at a dead end, but does not appear to realize it.” David Mo wrote “At the moment we can only say two things: the fabric is medieval and the image is not the imprint of a human body. At 99% if you want. The other 1% is for miracles.” Those are your opinions, nothing more. The fact that numerous bonafide scientists believe that the Shroud could be authentic and that over 3 million people visited the Shroud in the last 3 exhibitions (with probably another million this spring) indicate that it’s not obvious to many that the Shroud is a medieval forgery. So let’s put it to a vote, shall we? And all the other big scientific questions while we’re about it. Does burning of fossil fuels cause global warming? Yes/No/Undecided. Will the universe go on expanding forever? Yes/ No/Undecided. Why did you and your wife bother doing that paper on the radiocarbon dating, Joe? A straw poll of public opinion would have been so much quicker. This is a blog about the Shroud. If you want to delve into those other scientific questions, I’m sure you can find other blogs to express your opinions. I never said that general opinion decides a scientific issue. I was merely saying that several factors indicate that there is a large number of people who don’t buy that the Shroud is a fake. Experiments and papers should and will continue to address various aspects of the Shroud. And there will continue to be disagreement about whether the Shroud is authentic or not. Maybe others understand the point you are making, or trying to Joe. Sadly i don’t. Why am I here on this thread? It’s because Dan has featured the latest posting on my site. It’s Shroud-related. Not all my postings there are Shroud-related, like the CO2 posting that still gets dozens of hits each day, but I don’t bring those topics here, for the obvious reason that this is a Shroud blog. I was thinking of using this thread to preview a new hypothesis/model about TS image fibres that to the best of my knowledge has never been flagged up elsewhere (except some thinking-aloud on my own site many moons ago). Differences between linen and cotton fibres play a major role. However I shan’t bother if my approach to TS research gives wholesale offence, as seems to be the case looking at comments so far. Reminder for PHPL: observation distance and weave interference (in terms of body imprint disappeance effect due to lateral neural inhibition of the observer’s optical nerves) and unappropriate ligthing (blood image and/or body imprint orientation happening to be nearly aligned with the incoming light direction thus causing a form of obfuscation from illumination to occur) can make a world of a difference as far as the TS bloodied body image visibility is concerned. Louis, you’re getting confused. Rather than reading absurdities behind the text that aren’t there – thinking that I or Colin call di Lazzaro an amateur for example – just take what is written as it comes. What am I to make of this? “Now, it seems that you have not understood why I used that term.” And you’re absolutely correct about that. And why did I say that Colin could proceed with Science while di Lazzaro waits for a change in paradigm. Because by his own admission Colin is on a journey of discovery concerning the image formation, while di Lazzaro has succeeded in what he wanted to do, but acknowledges that it cannot have happened without a miracle. After discussing the problems with Jackson’s hypothesis – “of a body wrapped by the Shroud that becomes mechanically transparent while emitting VUV radiation” – and Rogers’s experiments – “samples often were converted into a little amorphous powder and gas” – di Lazzaro explains that by finding the correct parameters he has succeeded in demonstrating that “VUV radiation is truly capable of generating a Shroud-like colouration of linen cloths.” But he goes on to admit that in terms of a dead body emitting these VUV pulses, something beyond the realm of science is required. “How can one untie the knot of this impasse? As scientists, we are not entitled to argue about theological and philosophical implications of a flash of VUV radiation as a possible by-product of resurrection. We are only qualified to investigate the complex chain of chemical and physical processes triggered by VUV radiation on cellulose/hemicellulose, that produce conjugated carbonyl groups as the chromophore, or, in simpler words, a Shroud-like colouration of linen. We did this scientific work, and we have made our experimental results and related arguments public, that is, in our papers.” Now all he can do is wait. So, go back to your gratuitous abuse: “How nice,coming as it is from the editor of the BSTS newsletter,” and see whether it is justified by what I actually said, rather than what you think I may have meant. Joe is completely correct in that a true assessment of the Shroud must not begin with an assumption that it is one thing or another. However, Science works by proposing an idea, and then attempting to justify or reject it. We may say: IF the cloth was made by an artist / by a corpse, then how might it have occurred? We may even say: perhaps it was by something outside the realm of science, but in that case it is pointless to try to investigate its cause further. Colin is exploring a painting hypothesis. To do that he must begin with an “IF the Shroud was made by an artist” assumption. di Lazzaro is exploring a radiation hypothesis. To do that he must begin with either an “IF a corpse can produce radiation” assumption or an “IF the Shroud was produced by a miracle” assumption, or there would be no point in pursuing his experiments. I believe David Mo was rather more dogmatic than I would be in declaring a 99% certainty that the Shroud is medieval, but that does not justify Antero’s “Once more skeptics show themselves ignorant about serious scientific studies on the Shroud and uncover their fanatic anti-authenticity agenda-driven comments.” As I have pointed out many times recently, non-authenticist views are almost invariably based on detailed study of the “serious scientific studies” while authenticists frequently appear not to have read it at all. one intended to say that it was radiation that produced the Shroud image. The experiments were to demonstrate how Shroud-like colouration was obtained and I said “radiation-like” also because the intention was to contest what has been said about Maillard reaction. You yourself have pointed out that he said something about what would be out of the realm of science, so where does radiation come into the picture? As for your last paragraph, yes, I have noticed that there people commenting on the blog without really contributing anything, just referring to their religious beliefs and making unnecessary comments about others who comment here. The true fact is the TS man’s blood STILL look as if it had been shed just the day before. … which is definitely in sharp contrast with PHPL’s tunnel vision. So much of the debate here is really triggered by human personalities and not just the science. Which is rather fitting given that the subject of the discussion is as much a question as to ‘who’ as it is a ‘how’. « authenticists frequently appear not to have read it at all.»- This is not fair and categorically does not apply to me, I try to be updated reading new papers and attending Shroud scientific events whenever possible. Authenticists should have a solid basis for their belief. I believe Dr. Hugh Farey did indeed study with detail «serious scientific studies» but his aim is completely different from mine. After all besides Dr McCrone’s controversial studies which skeptical «serious» studies on the Shroud have been done?excluding kitchen lab experiments? So it turns out that even skeptics are aware that to try to debunk the Shroud they have to get information from honest scientists who study the Shroud and try to mislead people with their point of view from that information. It’s the scientific mindset that ultimately makes an experiment ‘serious’. The most expensive lab in the world is useless if Mickey Mouse is running the show. « authenticists frequently appear not to have read it at all.»- This is not fair. Well ROFL, as the children say. At least my claims are backed up by detailed evidence. Most recently Louis getting muddled about what radiation is, and before that the great “the more the contamination the older the date” revelation, and before that the fiasco with Jeffrey Sturka’s St Louis presentation, to name but a few. Now you try to support your claim. Or is that not fair? And let’s face it, you have no idea what my ‘aim’ is, although it has been expressed here often enough. My aim is to try to establish whether the Shroud is 1st century or medieval, and how the image came about. That’s all. What is your aim? “Hugh, I am not confused.” Well, in case, Louis, it must be me! Paolo di Lazzaro has spent a considerable time and published several papers demonstrating that the colouration of the image can be replicated by bursts of UV radiation. Not “radiation-like” radiation, but radiation. I thought you felt that his experiments were a useful contribution to the authenticist case, in spite of his having to invoke a miracle beyond the scope of science to account for the amount of energy required to produce the full double image. Now I understand that you reject the idea that radiation was involved in the formation of the Shroud, precisely because of the miraculous corollary. Is that correct? 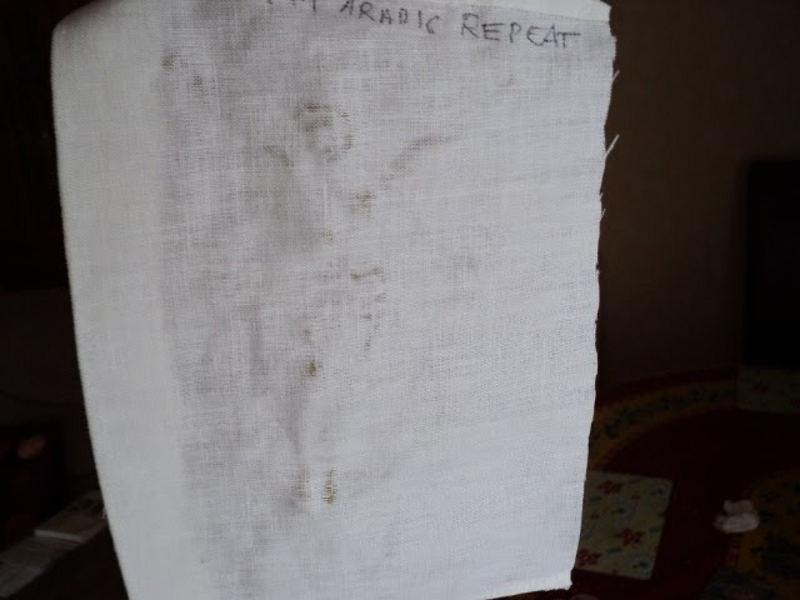 Among the several theories that have been proffered to try to explain how the image on the Shroud was formed we have Maillard reaction, radiation,corona discharge, lightning coupled with an earthquake. As you know, I find it hard to accept Maillard reaction as an explanation and provided the reasons why this is this is so week on the blog. The others also have not been demonstrated. It is clear from the interview that neither Dr. Paolo Di Lazzaro or myself believe that radiation was the cause of the image. I said “radiation-like” because laser was used and to also contest the Maillard reaction theory. Di Lazzaro’s intentions are clear in the interview, he was just attempting to show how Shroud-like colouration was obtained, the energy involved, the speed with which the experiment was conducted and so on. It is also evident that he invites those interested in the scorch hypothesis to experiment with a life-size statue, but, remember, the depth of the image will have to be like what is known about the Shroud image. I am not rejecting radiation because of the miraculous corollary. I am rejecting it because we simply do not know how the Shroud image was formed. The painting, scorch, photography theories have failed to convince. If Jesus was indeed wrapped in the Shroud pro-authenticity Shroudies will also have a problem in demonstrating what exactly may have happened. As I said in the introduction in the interview, the Resurrection, being a supernatural event, could not be subject to direct observation. If observed on the Shroud it would have to be indirect. Even then, it will be very difficult to demonstrate anything about image formation with certainty. If the image was created by the resurrection event as I believe then it is impossible to apply scientific method. A miracle defies science. Given that, the process that created the image could be all sorts of things beyond our comprehension. “It is clear from the interview that neither Dr. Paolo Di Lazzaro or myself believe that radiation was the cause of the image.” Well, fair enough. It wasn’t clear to me, but if that is the case, then at least I understand you now. Good, but at least you must have noticed that Di Lazzaro does not put science and religion in the same pot. I don’t blame any Shroud scientist who does it, but it will not be convincing to sceptics. If there is something that is observed on the Shroud that could lead to the conclusion that supernatural agency was involved, well and good. But, it would have to be demonstrated, with no room for doubt, and then religion could be brought into the picture. Colin wrote, “Maybe others understand the point you are making, or trying to Joe. Sadly i don’t.” I’ve been responding to other posts and making some observations about the comments regarding the assertion that the Shroud is medieval. I don’t understand what’s so hard to understand. Regarding your statement about your approach appearing to cause wholesale offence, it’s quite up to you if you want to continue posting. I personally think it’s healthy to hear comments from someone of a different position. It can help one fine-tune one’s own thinking. Here’s the summary that accompanies my latest posting. “Evaporation of initially approx 35% sulphuric acid, H2SO4, on white linen resulted after 2 days or more in loss of mechanical strength, with only slight darkening of the fabric. A cotton sample similarly treated retained its colour and mechanical strength. The difference may be due to the presence in the central cores of linen fibres (secondary cell wall) of appreciable amounts of hemicelluloses that are more chemically reactive than cellulose and essentially absent from cotton. Unfortunately I hit the Post button prematurely, so the posting’s URL (above) carries the provisional title, not the final one. I do wish Google Blogger would move that bright red Post button well away from the less conspicuous”Save Draft”. Your findings (which you note would substantiate the possibility of medieval technology be used) also apply to any naturalistic image formation. This is good because it seems that the naturalistic theory has been losing ground on this blog – specifically among some authentists. We seem to have polarized into the light/radiation versus contact fake camps. There is a third way, as they say. Or there again, David, if like me you take the radiocarbon dating to have been a reasonably reliable ranging shot exercise (why no follow up?) then the image might be considered as PSEUDO – naturalistic. Like pseudo-blood, pseudo-caked-on sweat, and cleverly designed and imprinted to simulate Joseph of Arimathea’s linen. It seems to have passed muster with the first cohorts of pilgrims at Lirey, Charles Freeman please note, even if the local beady-eyed bishop to his credit was not taken in. Postscript: have just this minute completed the H2SO4 mini-project (see above link) and am drawing a line under that particular acid. It was interesting that the linen fibres were weakened with scarcely any colour change – a warning against supposing that superficial yellowing equates with superficial chemical change – Paolo Di Lazzaro and ENEA please note – but the minimal coloration makes H2SO4 unpromising as a model for the TS image per se. The next acid to be studied is nitric, HNO3. The more I read (history, primary and secondary cell wall structure and carbohydrate and protein composition) the more promising it looks. The working hypothesis is that the yellow TS image is formed by a xanthoproteic reaction between HNO3, nascent or preformed, and trace protein (defunct enzymes) in the primary flax cell wall. Quite a number of things can be accounted for – diimide bleaching (reduction of nitro to amine groups) and even the “apparent” blood first/image second ‘mantra’. Adler and Heller’s enzyme not only digested blood, but a yellow underlying nitrated protein, i.e. body image too! Nitric acid was chosen by my putative medieval artisan because he knew of its ability to stain skin yellow, and probably (?) linen too, so figured it could be used to simulate an ancient sweat imprint. Unfortunately it will take at least a week for the HNO3 to arrive, and it’s technical grade intended for gold carat testing with some HCl ‘contaminant’. Never mind. I’m firmly of the belief that science is less about landing correct answers immediately on rigid time scales (engineers please note) and more about generating plausible hypotheses for folk to consider sooner rather than later who, if so inclined, can get stuck in (experimentally) themselves. Just take great care with HNO3. See the precautions I took in my garage with the H2SO4. Who was it earlier who said this blogger had reached a dead end? Care to reconsider? First of all, I have stated several times my reasons here, in this forum. Secondly, my reasons are not based on forensic pathology, but on a simple examination of the image. This enable me to assert that the images of the blood (in the back of the neck particularly) are not “natural”, that the hair position is not natural, etc. Thirdly: This is not the main issue of my comment. “I’m a person with scientific background not a kind of gullible fanatic religious guy “. These are not mutually incompatible conditions, but I don’t remember I had called you neither the one nor the other. I have nothing to comment about your beliefs. But if you think you can present an evidence of a miracle (the Shroud miracle in this occasion) I’ll be glad to know how you are able to do so, because if your reasons are as feeble as Marino’s are, they do not impress me at all. NOTE: I feel very generous to give you a 1% of chance. You see, I am neither a gullible fanatic sceptic. Mr. Mo: Are you believing in resurrection? My qualifications lie elsewhere than in the field of forensic pathology, and so I rationally rely on a number of those who are so qualified. Your own uninformed perceptions may enable you to assert what you will. “I believe David Mo was rather more dogmatic than I would be in declaring a 99% certainty that the Shroud is medieval”. The lack of sense of irony is perhaps the most remarkable sindonists’ flaw, and this is an irony. Here you have disappointed me, Hugh. Now seriously: I cannot quantify the certainty but I concede a very low probability to the authenticism. And it will be lower yet if we speak of miracles. David Mo’s very cheap intoxicating provocative irony (one of his ‘most remakable flaw’ as he would like to put it) is no criterion at all to evaluate Sindonist’s sense of irony as a whole. Methinks David Mo still cannot discriminate between cheap intoxicating provocative irony and really fresh thought-provoking irony. A shame! I sincerely hope that in a near future a scientist with so high level of knowledge as you claim to have will be invited to a future Shroud scientific investigation team. May be then a definitive answer STURP could not get will be achieved by your contribution. Miracles cannot be reproduced in a laboratory or any other facility and who am I to perform miracles?I’m not God and miracles don’t happen whenever we want and besides science cannot dismiss miracles. I won’t accept your »generous gift» neither will I go on exchanging my points of view with skeptics like you. It’s utter useless. Antero, this is blather: “So high level of knowledge as you claim to have.” I have never made any claim about any level of knowledge, as surely everybody reading this blog, including you, well knows. Everything I have said on this blog has been based on simple observation, on experimentation, or on reading published information. The sources for everything I have commented on have been meticulously detailed, so that anyone at all can easily attain the same level of knowledge as I. You entered this debate with a criticism of David Mo’s certainty that the Shroud is medieval. That’s fine. Many people think the same. But how should a person with a ‘scientific background’ go about his criticism? You began with a capitalised shout of ‘nonsense’, continued with a wild, sweeping and wholly unjustified derogatory generalisation, and concluded with two statements of your personal beliefs. Now you say it is ‘useless’ to go on ‘exchanging [your] points of view with skeptics.’ Unless you can express them more rationally, I think that is very well advised. Aqui não é um blog de religião. É um lugar onde quem acredita na autenticidade do Sudário de Turim ou não pode comentar, de preferência fazendo alguma contribuição útil, evitando ataques pessoais. Seguindo certas regras é bom para todo mundo. Acredito que vocês vão concordar. This is not a religion blog. It is a place where those who believe or do not believe in the authenticity of the Turin Shroud can comment, preferably making some useful contribution, avoiding personal attacks. Following certain rules is good for everyone. I believe that you will agree. I really appreciated your efforts to write in Portuguese, but I am not a native to this wonderful country. Mas eu realmente amo Portugal. . I think you are confusing me with other person, because I haven’t made any “personal attack”. On the contrary, I have received some. I prefer to answer to them with an irony than become angry. It is better for my health. I don’t see how I could avoid the religion in a forum about the shroud of Jesus of Galilee. The Shroud is a religious object. Cf. Prof. Fanti or Dr, Barbet, for example. Neither I see how it is possible to avoid speaking of miracles with people which are continuously mentioning miracles or saying that the shroud is scientifically “unaccountable”. (Many important sindonists have often claimed for miracle. J. Jackson or G. Lavoie, for example). That’s why I’m afraid you are in a mistake about my very person and on what this forum is about. (This is another irony, but not an aggressive one. Rather a friendly one, you see). The timing is unfortunate (this being Easter Sunday). However, having spent 3 years in attempting to suss out the peculiar TS image, and been told by fellow scientists (well, some at any rate) that it has to be “supernatural” I can scarcely contain my growing conviction that a solution is finally within reach. A hint was provided in the previous comment or two. The question is: how to communicate the new idea? A fait accompli set out point by point? Sorry, not my style. I don’t do fait accompli Science works by hypothesis, experiment, interpretation, modification of hypothesis etc etc. There’s no room there for springing a fait accompli on folk. Better to build the story in easy instalments, ones that address the many disparate peculiarities of the TS image that have to be accounted for. (The new “hunch” could of course be wrong, and quickly demonstrated to be so, given it is capable of immediate testing by existing means were there free access to the Shroud. But there’s not, and indeed this blogger/retired biomedical scientist is not even able to wander into that Turin Cathedral simply to see the TS with his own eyes, so feels it’s not a huge and shameless imposition on folk, certainly on this ‘cutting edge’ site to say what’s in his mind, and to do so sooner rather than later. There are two ways I can lift the lid on the new thinking. One is to post on my own site, and (no disrespect to Dan) hope it gets reported here with no details neglected or glossed over – detail being crucial in scientific research. The alternative is to drip-feed the new model here as a series of comments, as a continuation of this particular thread (why not, since Dan’s posting links to my site?) and not bother composing a posting to my own site until the feedback here has appeared. Might that not be a more internet-friendly and democratic way of doing things, while admittedly a far cry from the traditional route via peer-reviewed publication in journal articles (abstract only, cough up $$$ to get behind the paywall). What do folk think? Fait accompli on my site, or drip feed to this one? Title for the new idea? How about: “A novel NOx/protein fumigation model for the Turin Shroud.” NOx represents the binary mix of nitrogen oxides (NO and NO2) that react together with water and oxygen to form nitrous and nitric acids (HNO2 and HNO3 respectively), or alternatively are generated in a reverse reaction when preformed HNO3 from a reaction mixture in a distillation flask dissociates at high temperature. Nitric acid reacts quickly with proteins that contain aromatic side chains (tyrosine, tryptophan etc) to form yellow ‘xanthoproteic’ reaction products. Both light sepia TS non-image background or darker, more intense TS image could be xanthoproteic reaction products formed by NOx fumigation of intrinsic linen OR extrinsic non-linen protein, or both. Several boxes can be ticked (e.g. lack of image fluorescence, even the Shroud’s mysterious side strip). Comments invited re the best strategy for reporting a distinctly new angle on the TS body image – blood will have to wait until later. Happy Easter. I don’t believe the Father would give later Christians the edge over the first 1400 years with something like this. Also, the image has long hair, which was a sure fashion for homosexuals in the first century…no other men wore long hair. The image is decidedly a European man, not Jewish in any recognizable way. It seems anti-Jewish and too useful for certain kinds of propaganda. If it is proven to be false, I worry about the faith of those who have bet their hearts on it…that is a danger, too. St. John, the Apostle, was asked over and over to describe Jesus. He refused, saying curiosity like that was beside the whole point and not useful. In short, who needs it? It can serve as a reminder of the miserable death of Roman criminals and of our Lord. That is useful no matter were it came from. But there are better ways to do that, surely, than an artifact consuming millions of dollars and hours of work. Frankly, when it comes to the subject of long hair, you need to be better informed. Type the words long hair into the search box of this blog in the upper right-hand corner and read the several postings along with comments. Paul was preaching to Greeks, where fashions were different, and was concerned that Christian men did not give scandal in their wider community. Something else you can try is to Google “Jewish Rabbis Images”. It would seem only the bald, liberals, and lady rabbis, lack both long hair and beards. The bald ones are content to wear skull caps, the more hirsute often wear distinctive large hats which contain their locks.